This is a quintessential summer dinner salad—lovely, light, and different. 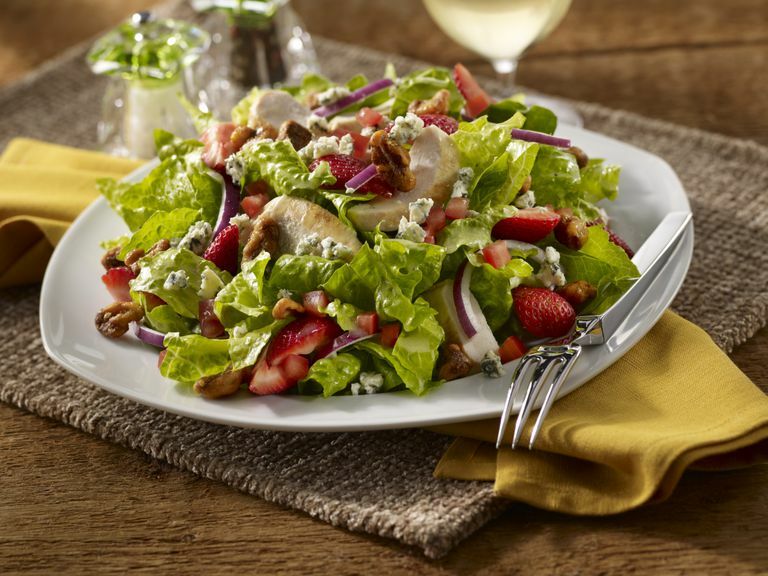 Dress with strawberry vinaigrette dressing and you have a real treat on a hot summer night. Purée the 1/4 cup sliced strawberries, red wine vinegar, mustard, and olive oil in a blender or food processor until creamy. On two separate platters: arrange the spinach, half of the sliced chicken breast, half of the sliced strawberries, almonds, and feta cheese. Serve.